As an aluminium plate supplier for more than 25 years, we can tell you that the 5000 series is aluminum and magnesium alloys with moderate strength and good corrosion resistance. They are widely used in all fields from thin aluminum sheet to thick aluminium plates. 5000 series aluminum plate has high strength in non-heat-treatable alloys, has good corrosion resistance and machin-ability. After be anodized, the surface appearance is good and the Arc welding performance is good too. 5000 series aluminum alloy has many typical grade, such as 5052, 5083, 5086, 5182, 5454 and 5754 aluminum alloy. 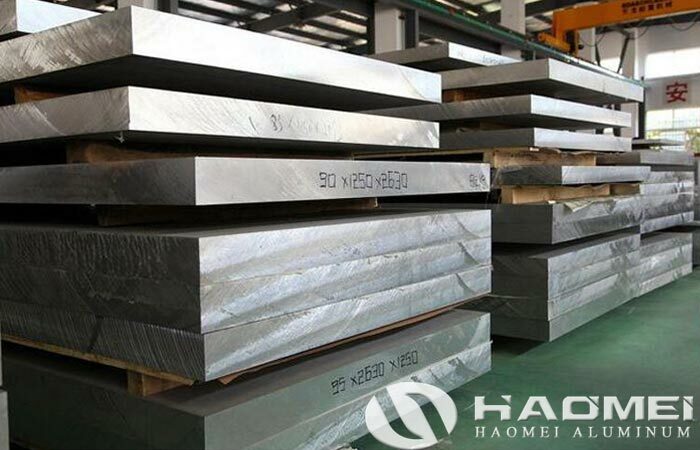 The main alloying element in 5083 aluminum plate and 5086 aluminum plate alloys is magnesium, which has good corrosion resistance and weldability, as well as moderate strength. Excellent corrosion resistance makes 5083 aluminum plate widely used in marine applications such as ships, automotive, aircraft welding parts, subway light rails, pressure vessels that require strict fire prevention (such as liquid tankers, refrigerated trucks, refrigerated containers), refrigeration equipment, television towers, drilling equipment, transportation equipment, missile parts, armor, etc. 5182 aluminum plate belongs to the Al-Mg-Si alloy, it has a wide range of uses, especially in the construction industry. 5182 aluminum alloy has good corrosion resistance, excellent weldability, good cold workability and moderate strength.. It is used to make aircraft fuel tanks, tubing, and sheet metal parts for transportation vehicles and ships, instrumentation, streetlight brackets and rivets, Hardware products, electrical enclosures, etc.